Spanish-language Opportunities in Ireland: Jobs in Dublin, Cork, etc. 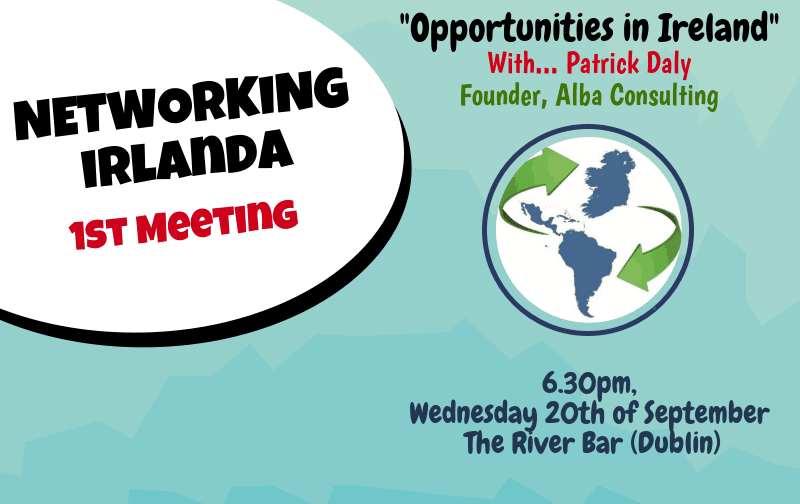 The first event of LatinAmerica.ie, ‘Opportunities in Ireland’, took place in September 2017, where Adam Fulham (LatinAmerica.ie) and Patrick Daly (Alba Logistics) spoke about Irish-Latin American Trade and opportunities in Ireland for Latin American Professionals. Held at River Bar, there were free Salsa lessons afterwards with our friends at Salsa Dublin.